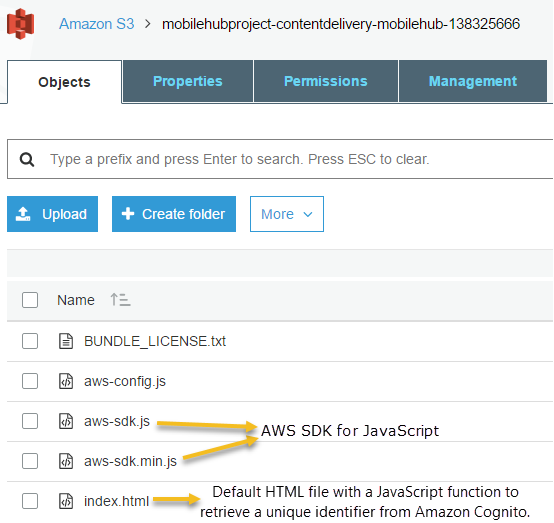 AWS Mobile Hub and Ionic, an open source framework for building mobile apps, have teamed up to create an official Ionic starter project that demonstrates an end-to-end solution for hosting and building mobile web and hybrid applications on AWS. In this blog post, we explain what the project is, describe key areas, highlight additional use cases, and then send you on your way to get started. What is the official Ionic AWS starter project? The Ionic team used the new Mobile Hub project export/import feature to build an official Ionic AWS starter project (Ionic blog | GitHub). The project demonstrates how quick and easy it is to deploy an end-to-end Ionic application on AWS using Mobile Hub. 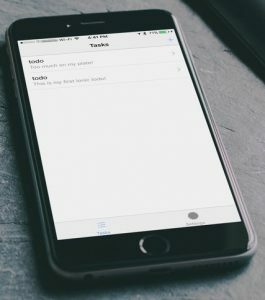 The Ionic starter project is a sample mobile and web “todo task list” app based on a pre-configured AWS Mobile Hub project. After you import this exported Mobile Hub project from Ionic, Mobile Hub provisions the backend services. 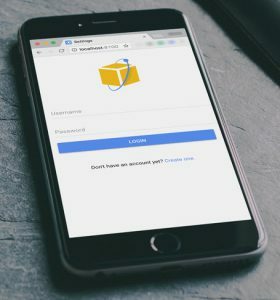 The Ionic project shows how to securely authenticate users with Amazon Cognito User Pools and receive AWS credentials. At that point, the user can read and write application data to Amazon DynamoDB and store user profile images to Amazon S3. What is deployed on AWS? Let’s look at the backend resources. After importing the exported project from Ionic, Mobile Hub creates a new project, and then enables and provisions the User Sign-in, NoSQL Database, User Data Storage, and App Content Delivery features. The Mobile Hub feature cards are curated common mobile use cases consisting of one or more AWS services. To learn more about these Mobile Hub features, click here. To get started, download the mobile-hub-project.zip from GitHub and navigate to the Mobile Hub console. Click Import your project and drop the .zip file into the dialog box. Select Import Project. Mobile Hub creates the project and resources. The purple cards indicate the enabled features, which were auto-generated by the Ionic imported project template. Let’s explore the enabled backend features of your AWS Ionic Starter Project and see what they do. User Sign-in: This feature creates an Amazon Cognito User Pool for identity management. The user pool allows your users to authenticate (sign-up and sign-in). After a user authenticates, they are provided a unique identifier by Amazon Cognito. That identity is used to generated temporary, limited-privilege AWS credentials to directly access your resources.. That identity is used when creating, editing, and deleting tasks within the app. Only the task that the authenticated user creates is available to the user. And… no more secret keys! To view the configuration and a list of your users in the Amazon Cognito console, go to your Mobile Hub project, select resources, and then choose the direct link to your Amazon Cognito User Pools. NoSQL Database: This creates a single Amazon DynamoDB table called “ionic-mobile-hub-tasks” for storing each task. Here’s what the data looks like (in the Amazon DynamoDB console) after creating a few tasks in the Ionic app. The userId is the Identity given to that user by Amazon Cognito. To view the table data within the DynamoDB console, go to your Mobile Hub project, select resources, and then choose the direct link to your table under Amazon DynamoDB Tables. User Data Storage: This created a single Amazon S3 bucket that is used to store files such as photos or other user content. 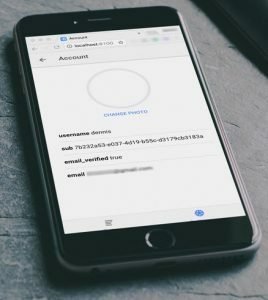 When running the Ionic app on a device, users can click their account settings and change their profile picture, which stores the image in the S3 bucket. Here’s a list of the bucket contents after enabling the App Content Delivery feature within Mobile Hub but before copying the web assets from your Ionic starter project. In the Ionic starter project instructions, you copy the aws-config.js from here to your project to run the app locally. Instead of running your app locally using “$ionic serve” you just copy the web assets in your myApp/www/ to the root of your S3 bucket. 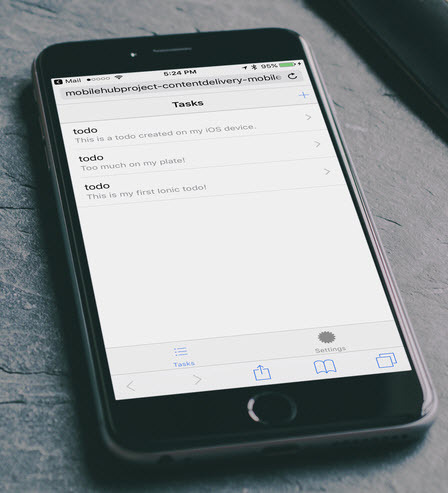 To do this inside your Ionic project, run the following commands, substituting WEBSITE_BUCKET with the S3 content delivery bucket name that was created by the Mobile Hub project import. To learn more about setting up a static website on Amazon S3, see the Amazon S3 Developer Guide. What have we built today? The Ionic starter project provides a full end-to-end experience. Once configured, the app is quite diverse and is truly cross-platform. The same code base can be run locally as a web app in a browser, deployed to an iOS or Android device as a hybrid mobile app, or served from an S3 bucket for desktop and mobile browser users. 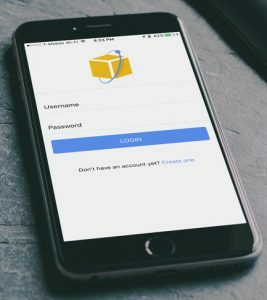 The app showcases the ability to sign in from any device or browser and then sign in on another device: the user’s task list follows the sign-in because the data that is stored in Amazon DynamoDB is associated with that user. You’ll find the Ionic + AWS Mobile Hub Starter Project on GitHub. The README walks you through using the starter, installing the necessary CLIs, creating the project, running the app, and deploying the project’s web assets to the S3 bucket.